Individuals and businesses throughout Alameda County have many reasons for wanting signs and banners, from celebrating birthdays or anniversaries to advertising to potential customers. 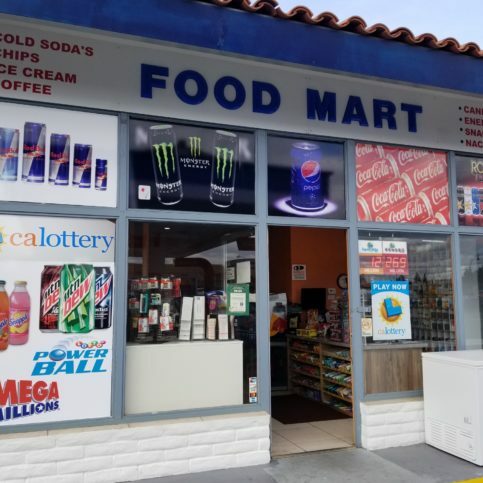 Local sign and banner shops in Dublin, Newark, Pleasanton, Union City, Alameda and other areas can help. These businesses offer design, layout, and printing services for custom signs and banners, from happy birthday banners and graduation banners to outdoor signs, window lettering, vehicle wraps and magnetic signs, and custom business banners. Some sign makers and banners shops in Alameda County also offer installation for the products they create. Regardless of what you need, it’s likely that a local banner and sign shop in Alameda County can help. Read on for more information about choosing a good banner maker or sign fabricator near you as well as services sign shops offer and how to work with the banner shop you choose. What Products and Services Do Sign Shops Provide? Whether you need a fairly straightforward sign or banner or you need a custom banner or sign, it’s likely that a local Alameda County banner and sign company can help. They should also be able to walk you through your options and find the right material and printing method for your needs. Savvy consumers feel safe choosing among Diamond Certified companies. That’s because all certified companies have passed an in-depth ratings process that most other companies can’t pass. If you want quality and satisfaction from a sign and manner maker in Alameda County and the Greater Bay Area, you can have confidence choosing a Diamond Certified company. Diamond Certified reports are available online for all certified companies, including banner and sign printing services. And you’ll never be fooled by fake reviews, since all research is performed in live telephone interviews of actual customers. Why Trust Diamond Certified Sign Shops Rated Highest in Quality? Knowing what you want in a sign and banner printer and their products before you start looking can help you make better decisions when vising good Alameda County sign and banner printers. You are more likely to be happy with your signs and banners and the services you receive from the printers if you have an idea of the type of sign or banner you want, how much you’re able to spend, and other details before you look at your for banner and sign printing in Oakland, Dublin, Fremont, Newark, Hayward and the rest of Alameda County. Ask yourself the following questions to get started. Write down your answers and keep a file of samples and examples for when you talk with sign printing companies near you. 1. Do I want a Diamond Certified custom sign and banner printer in or around Alameda County that is rated highest in quality and helpful expertise and that is backed by the Diamond Certified Performance Guarantee? 3. When do I need my new signs or banners? 4. Do I have an idea of what I want in terms of graphics and design, or will I need my sign company to provide graphics and design services? 5. What requirements do I have for this job (including size, materials, colors, design/graphics, installation requirements, last a long time or temporary, etc.)? 6. Will I need installation services for my sign or banner? Or do I want a sign or banner I can install or hang myself? 7. What is my budget? 8. What personal and professional capabilities and traits do I want and expect in a sign printer or banner maker? This may include friendliness, skill and ability, honesty, reliability, speed, precision, and attention to detail. After you’ve talked to some Alameda County banner and sign makers over the phone, you should have a better idea of which company can best meet your needs. Now, it’s time to visit the standout companies in person to get a better feel for their abilities and their dedication to your project. Again, having a list of questions to ask and taking notes can help you further narrow down your options to the best company for you. Some questions you may want to ask include the following. You’ll also want to add specific questions that pertain to the banner or sign you need printed and other unique needs you have. 1. Can you offer design, printing, installation, and other services for the project I have in mind? 2. Will you show me samples or images of banners or signs like those I’m considering? Can I see samples of your finished products? 3. Can I provide graphics or designs, and if so, will you help me ensure I have the correct format and sizing for my project? 5. If you’re providing design, will I have the opportunity to approve all designs before my signs or banner is printed? 6. Will you give me suggestions for materials, printing methods, design or other aspects of my job? 7. Do you offer delivery or installation in Ashland, Castro Valley, Cherryland, Emeryville, Komandorski Village, Livermore, Mount Eden, Piedmont, Russell City, San Lorenzo, Sunol or my area? If so, is there an extra fee for travel if my location is outside of your normal business area? 8. Do you have a list of customer references I can call? 9. What can I do to help this process go more smoothly? It’s best to choose among Diamond Certified custom sign and banner printers because all certified companies have passed an in-depth ratings process that most other companies can’t pass. 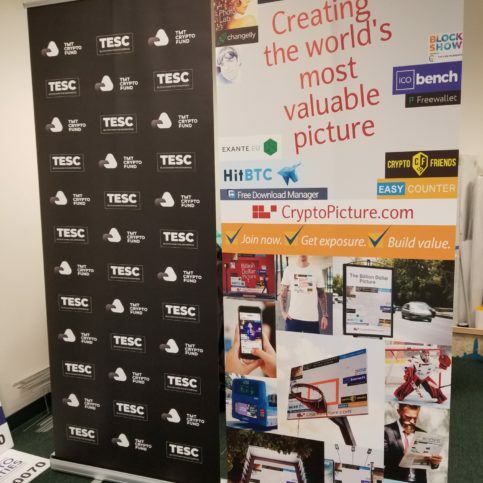 If you want quality from sign and banner shops in Alameda County and the greater Bay Area, including those in Oakland, Fremont, Hayward, Berkeley, San Leandro, Alameda, Union City, Pleasanton, Newark, Dublin and your area, you can have confidence choosing a Diamond Certified company. Diamond Certified reports are available online for all certified companies, including local sign and banner makers. And you’ll never be fooled by fake reviews. That’s because all research is performed in live telephone interviews of actual customers who have hired these local contractors and have actual experience dealing with them and can attest to the quality of their work and services. 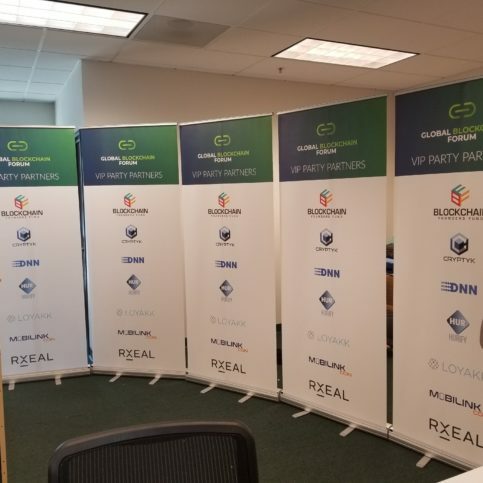 If you can’t find Diamond Certified custom banner and sign printers within reach, you’ll want to do some research, including calling references provided by the best candidates. It is important to know that references provided to you by local sign printers are not equal in value to the large random sample of customers surveyed during the Diamond Certified ratings process. That’s because companies often give clients lists of references that are cherry-picked instead of randomly selected from their entire customer database. So you will probably get contact information for a few customers that the sign printers know are satisfied. Still, even though they won’t be unbiased reports, it can be helpful to hear what previous clients have to say about the banner makers and sign fabricators in Alameda County and your area. If you do call references on your own, specifically ask for a list of the 10 most recent customers the Alameda County custom sign and banner printers have served. This will help avoid them giving you the names of only customers they know were satisfied. Then call and ask those previous customers some questions. 1. Were you satisfied with the signs or banners you purchased from _(sign company name)_ and the service you received from the company? 2. Were the employees at the sign and banner store able to suggest the best type of banners and signs for your needs? 3. What did they do for you (business signs or banners, happy birthday banners, anniversary banner, outdoor banners or signs, inside signs and banners, large-format printing, banner design/sign design, banner hanging and installation, vehicle lettering or signage, etc.)? 4. Did the banner store have the needed sign or banner materials in stock, or did you have to special order them? If so, did they arrive as promised? 5. How long did the printing process take? 6. Did they also provide design services for you? If so, were you able to have input in the design and approve it before it was printed? 7. Did the banner shop keep you up-to-date on the status of the signs or banners you’d ordered? 8. If you hired the Alameda County banner and sign printer to install your project, did they complete the work on time and as promised? 9. Were there unexpected costs? If so, what were they for and were they avoidable? 10. If you live in a rural area or smaller town such as Castro Valley, Emeryville, Mt Eden, Russell City, Piedmont, Cherryland, did the sign shop charge extra to travel to your home for installation or delivery services? 11. Was this company responsive to your needs and mindful of your budget? 12. What was the best part about working with this company? 13. Would you hire this banner and sign company again? 14. Would you recommend this company to friends or family? 15. Is there anything else I should know about this Alameda County banner or sign company or their services? 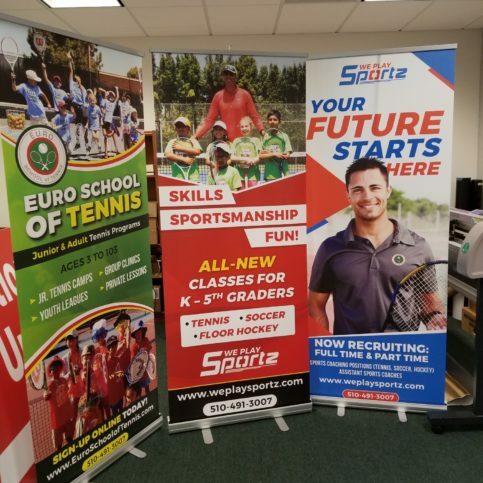 • Is one of the banner printers or sign stores in Alameda County able to meet your needs in terms of design, materials, style, installation needs, delivery, timeline and budget? • Are the Alameda County sign and banner makers knowledgeable about the best type of sign or banner for your home or business needs? • Is the company sensitive to your budget? Can they recommend various solutions and products to meet your resources? • Are the banners and signs from this Alameda County company covered by quality and satisfaction guarantees? • If you’re having your new banners or signs professionally installed, will the sign companies guarantee their installation services? Start by learning as much as you can about the signs or banners you need and your options. Interior signs and banners vary greatly in materials and printing methods from exterior banners and signs, and vehicle signage is a completely different service than printing wood signs or metal signs. Likewise, business window and door signs take a different set of expertise than do A-frame signs or banners that will be on display for the long term. Do your research, reading about and viewing photos of various signs and banners for personal and business use. Decide where your banner or signs will be displayed, how long you’ll want them up, and whether you have other special requests, like installation. Collect samples or images of banners and signs you like so that you can more accurately show than tell your ideas to the Alameda County sign companies you interview. Then you can take that knowledge with you as you talk with banner makers and sign fabricators in San Leandro, Berkeley, Hayward, Fremont, Oakland and your area. Your odds of being satisfied with your new signs or banners go up exponentially with every bit of research you do on the company you’re hiring to create them. 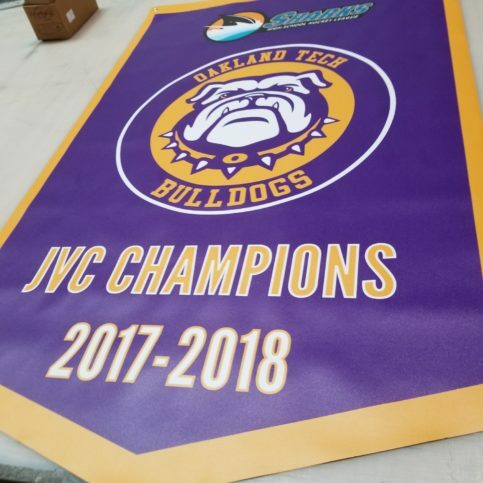 That’s why it’s vital to take some time researching the Alameda County banner and sign makers in Pleasanton, Berkeley, Union City, San Leandro, Alameda and near you to learn what they can offer, their service history, and what you can expect if you hire them. When you’ve found a company that you click with on both a personal and professional level and that offers the materials and services you’re looking for, you’ll want to move forward by ordering your signs and banners or by beginning the design process. You will want to get an estimate in writing and then, if there’s a contract for the work, sign it to solidify your agreement and commitment to the company and their promises to you. Since all service agreements and contracts are legal documents, be sure that you completely understand and agree with the information presented to you before signing it. If you have questions or need clarification or changes to the document, request answers or changes before you sign anything. Never sign a blank or incomplete estimate or contract or one that you don’t completely agree with. Now comes the fun part. Once the business dealing is done, you can begin the process of designing and seeing your new signs and banners come to life. If you already have a design or artwork, all you may need to do is provide the graphics to the Alameda County sign company and pick out the materials, colors, and other details. If the banner printer is creating the design for you, you may be able to choose how involved you will be, from simply approving a design to sitting with the designer while they create your custom banner or signs. Then, once the design is ready to print, you should be given a final mockup to approve before the printing begins. As with any good working relationship, you bear half of the responsibility for staying in touch, asking and answering questions, and doing your part to help the job go smoothly. While every job varies depending on the services and project details, honesty, reliability, and clarity help every sign and banner printing job go more smoothly. It’s the custom sign and banner printer’s responsibility to create and print custom signs for your business or personal use using the best possible printing techniques and long-lasting materials. But you play a big part in the success of your custom banner and sign printing services, too. Here are a few simple steps you can take to be a good customer when hiring Alameda County sign and banner printing companies in San Leandro, Berkeley, Hayward, Fremont, Oakland and your area. • Be clear and upfront with the sign and banner printer. Let them know what you want from them, the long-term outcome you’re expecting and specific ways they can satisfy your expectations. • Remember, a friendly smile goes a long way! • Before you choose a sign or banner printing company in Alameda County, restate your expectations and goals, and reiterate your understanding of the sign printing or banner creation agreement. By being clear about your expectations and theirs, you can avoid most conflicts. • Ask your custom sign and banner printers if you should call to check on the progress or if they will call you with updates. 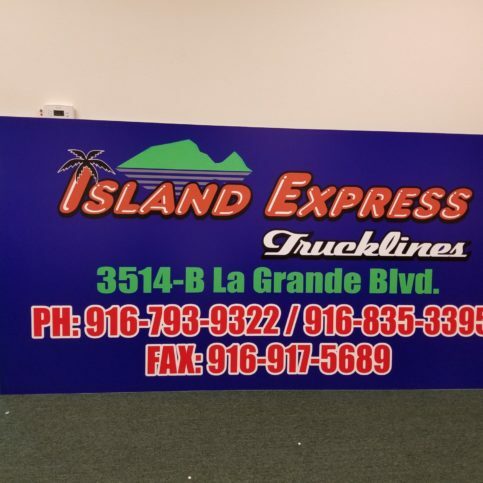 • Be sure the company has a phone number where they can reach you at all times while they’re designing and printing your business signs or custom banners. The work will move along more smoothly if they can reach you with questions, updates, or other details regarding your project. • Return calls promptly to keep the sign and banner printing services on schedule. 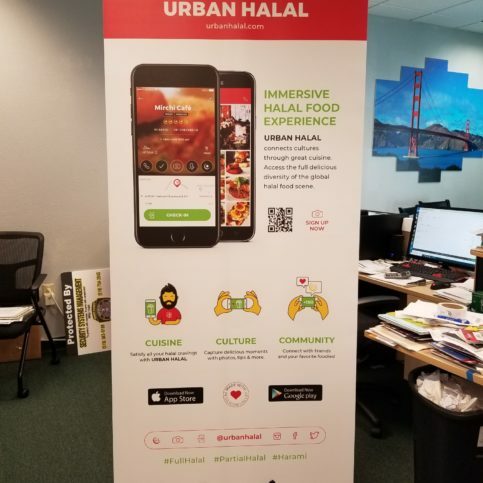 • Be available to pick up your banners and signs, accept delivery if they’re being shipped or dropped off, or be available on the day of installation if the Alameda County sign printing and banner making service is also installing your new signs and banners. • Pay for the new signs or banners promptly. Why would you want to be a good customer when buying signs or banners for your home or business? Local banner and sign printing services in Alameda County appreciate customers who are straightforward, honest and easy to work with. Your good customer behavior sets the tone from your end and creates an environment conducive to a good relationship. The project may very well go more smoothly and any problems may be more easily resolved if you take care to build, cultivate, and nurture a strong working relationship. • The sign printing company name, physical address and contact information. • A complete list of all work performed, including sign and banner design, printing, cutting, and sign or banner installation services. • An itemized list of all materials used, including vinyl sign backing, magnetic vehicle signs, vinyl lettering, and others. • The total cost for the services, including the itemized amount charged for labor, if applicable. • A written explanation of any warranties or guarantees provided by the sign and banner material manufacturers and the Alameda County sign and banner printers. Due to the nature of custom signs and banners, local printers may not always offer guarantees about the longevity of their banners and signs. However, those that do should be willing to offer written proof of any guarantees or warranties regarding the printing, materials, inks or vinyl lettering, magnetic vehicle sign base, installation, or other aspects of the job. • The Alameda County custom sign and banner printer’s name, physical address and contact information. • A description of what exactly the warranty covers. This should include whether the local sign printer or banner maker will repair or replace faulty materials or poor workmanship. • Whether any sign installation services are covered by a warranty or guarantee, and if so, what promises back up that installation and how installation errors and any damages that occur as a result will be rectified. • Any exclusions should be explicitly stated. • Your responsibility in the case of a problem and what you need to do in order to redeem the warranty. • How long the warranty is valid, and whether it expires on a specific day or is prorated (meaning, the warranty coverage and amount owed for repair or replacement diminishes over time). • Any actions on your part that may invalidate the warranty. 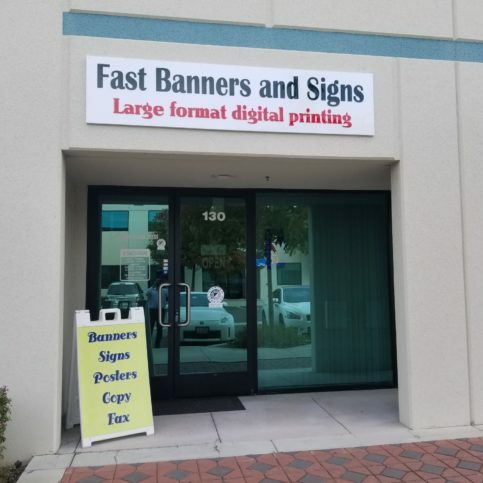 Local banner and sign shops in Alameda County, including those serving Dublin, Newark, Pleasanton, Union City, Alameda and beyond, can usually cater to their customers’ needs when it comes to design, materials, and end product. They can also offer a wide variety of products and services to fully customize the banners and signs they make. The items below are some of the most common requests made of local banner printers and sign makers in Alameda County. It’s always smart to talk with the sign printing companies near you to learn what services and materials they offer, particularly if you have a specific banner or sign printing project in mind. Custom signs are those created for businesses and individuals to order. These may be yard signs for political campaigns or business promotions, A-frame or other storefront signs, hanging signs, large-scale signs or small window-sized signs, or other signs with custom images and details. Birthday banners are popular for kids’ birthdays, birthday parties, quinceaneras, sweet 16 birthday parties, golden birthdays, first birthdays, or other milestone birthday celebrations. Alameda County banner printers can offer custom birthday banners that are good for single use or that are made with sturdier materials for use year after year. 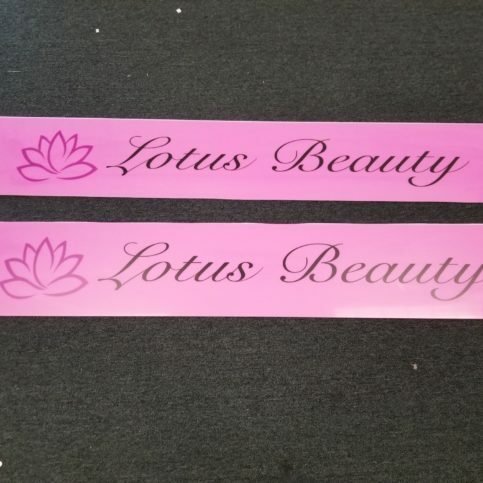 Many birthday banners are vinyl, but local banner makers can create unique designs from specialty materials as requested by clients. 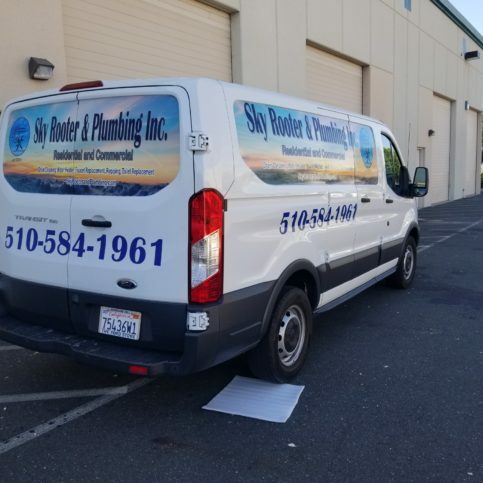 Many businesses, from small businesses and sole proprietorships to large corporations, like to advertise their businesses and set apart their company vehicles with custom car signs and lettering created by local Alameda County sign companies in Oakland, Dublin, Fremont, Newark, Hayward and other areas. These custom car signs and lettering may include magnetic vehicle signs, vinyl lettering, removable lettering, permanent lettering, vehicle wraps, and other specialty signs and lettering that identify vehicles and help spread the businesses’ contact information and services far and wide as the vehicles travel from place to place. Custom banners can include birthday banners, anniversary banners, special event banners, banners for business openings, and more. These banners can be printed on vinyl, cloth, and other materials that are intended for interior or exterior use, and short-term or long-term display. 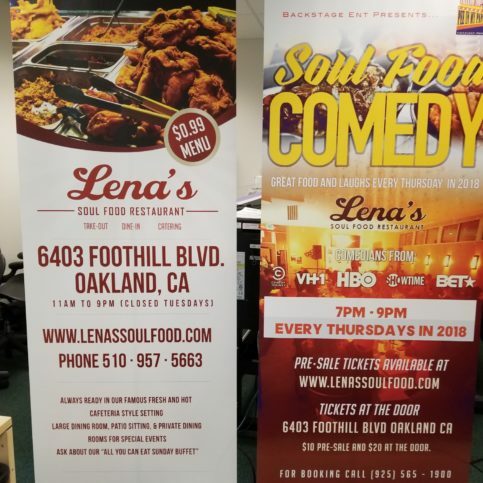 Custom banners printed by Alameda County banner printers can be created to fit the specific needs of the company, organization, or individual. Many businesses in Alameda County like the option of propping up a sandwich board or A-frame sign in front of their place of business to advertise specials or increase visibility to foot traffic or passersby. These signs can be custom printed by local sign shops, and many can offer a wide variety of styles, printing options, and custom graphics and lettering to help businesses stand out. Vinyl lettering and vinyl signs are popular because they are affordable, long-lasting, look good, and are usually easy to install and display. Many good sign shops in Alameda County, including those in Pleasanton, Berkeley, Union City, San Leandro, Alameda or another area, can provide custom vinyl lettering for windows and doors, vehicles, and other applications, as well as vinyl signs for homes, businesses, and events. Advertising doesn’t have to be expensive or digital. Many Alameda County businesses use custom business signs printed by local sign and banner printers. These signs can hang inside or outside the businesses themselves, or be displayed in other areas to generate interest and catch the eyes of possible customers. Custom business signs can be tailored in terms of size, graphics, colors, specialty cutting, and more. Large banners and signs may require professional installation to look their best. Many Alameda County banner and sign printers also offer installation, including for lettering and window signage, large banners for exterior and interior use, and more. If installation services are required, talk with the banner and sign printing companies in Oakland, Fremont, Hayward, Berkeley, San Leandro, Alameda, Union City, Pleasanton, Newark, Dublin and beyond for availability and other details. 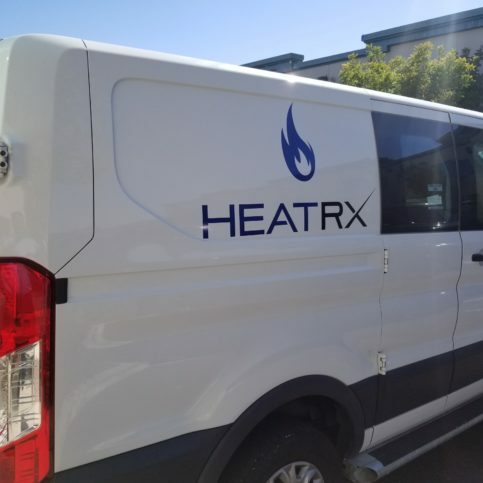 Many companies and individuals in Alameda County and the Greater Bay Area rely on magnetic vehicle signs for advertising their businesses or setting apart their company vehicles. These magnetic signs can be custom printed with business logos or other details, and they are safe for vehicles and removable. Part-time business owners who also use their work vehicles for personal use appreciate being able to remove the signage when they don’t want their company name displayed, and companies that require employees to use their personal vehicles at work may provide magnetic vehicle signs to designate the vehicle as a company vehicle or to show that the driver has an affiliation with the company. Many Alameda County sign printing services offer magnetic vehicle signs and other vehicle labels. Signage that will be used inside differs in materials, printing techniques, and other ways from exterior signage. Sign printers in Alameda County can help clients decide what materials, lettering, hanging methods and more are best for their needs and intended purpose of the signs. Many businesses use custom business signs printed by local sign and banner printers. 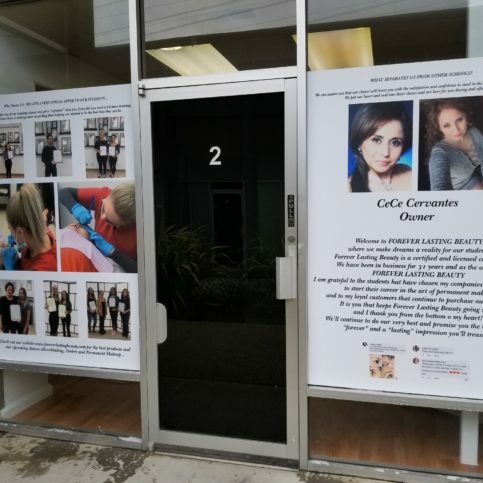 These signs can hang inside or outside the businesses themselves, or be displayed in other areas to generate interest and catch the eyes of possible customers. Custom business signs can be tailored in terms of size, graphics, colors, specialty cutting, and more. Businesses have the option of propping up sandwich board signs or A-frame signs in front of their stores or shops to advertise specials or increase visibility to passersby. A-frame signs can be custom printed by local sign shops, and many can offer a wide variety of styles, printing options, and custom graphics and lettering to help businesses stand out. Custom car lettering allows businesses to advertise and designate and identify company vehicles. These custom car signs may include vinyl lettering, removable lettering, permanent lettering, and other specialty vehicle lettering. Custom banners such as birthday banners, anniversary banners, special event banners, banners for business openings, and more can be printed on vinyl, cloth, and other materials intended for interior or exterior use and short-term or long-term display. Custom banners printed by good banner printers can be created to fit the specific needs of the company, organization, or individual. Many businesses advertise and set apart their company vehicles with custom car signs. Custom car signs may include magnetic vehicle signs, vehicle wraps, removable vehicle signs, permanent car signage, and other specialty signs that identify vehicles and help spread business contact information and services as company vehicles travel from place to place. Signage that will be displayed outside is known as exterior signage. Sign printers can help clients decide what materials, lettering, hanging methods and more are best for their needs and intended purpose of the signs. Since exterior signs are exposed to weather and the elements and may be intended to last for a single event or a long display time, costs, printing methods, and other details vary greatly. Birthday banners are popular for kids’ birthdays, birthday parties, quinceaneras, sweet 16 birthday parties, golden birthdays, first birthdays, or other milestone birthday celebrations. Alameda County banner printers can offer custom birthday banners that are good for single use or that are made with sturdier materials for use year after year. Many birthday banners are made of vinyl, but local banner makers can create unique designs from specialty materials as requested. Interior signage can be temporary or permanent, and the options vary greatly in terms of style, images, layout, materials, and more. Most interior signs are protected from the harsh elements and weather that can impact exterior signs, so buyers of interior signage may have more options in terms of colors, materials, lettering, products, hanging methods, and more. Many companies and individuals rely on magnetic vehicle signs for advertising businesses or setting apart company vehicles. Magnetic car signs can be custom printed with business logos or other details, and they are safe for vehicles and are usually removable. Business owners or employees who utilize work vehicles for personal use appreciate being able to remove magnetic vehicle signage when they don’t want the company name displayed, and companies that require employees to use personal vehicles at work may provide magnetic vehicle signs to show that the driver has an affiliation with the company. PVC signage are lightweight and durable, as most resist yellowing, are sturdy even outside and in harsh weather conditions. PVC signs are often used for real estate signs, business advertisements, political signs, yard signs, and other exterior signage that needs to look good and hold up against bright sun and rain. 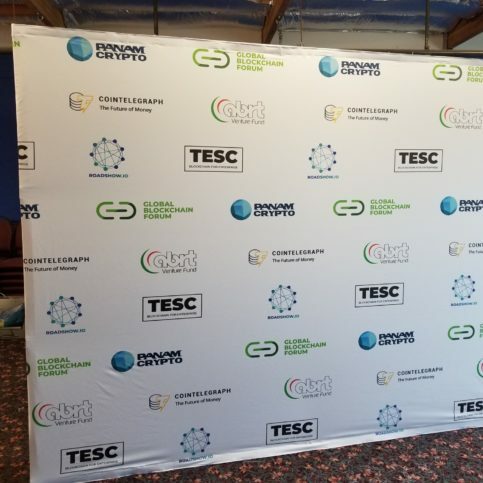 Retractable banners are popular with companies and businesses that have displays at trade shows, farmers markets, outdoor fairs, or other events where easy set up and displays are convenient. 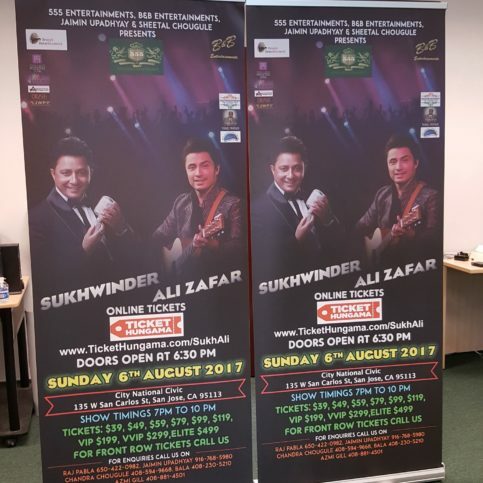 Also known as popup banners, retractable banners are usually made of vinyl and are easily transportable because they fold down and retract into their own carrying cases. Sandwich board signs can help businesses advertise and increase visibility without the commitment of a fixed or hanging sign. 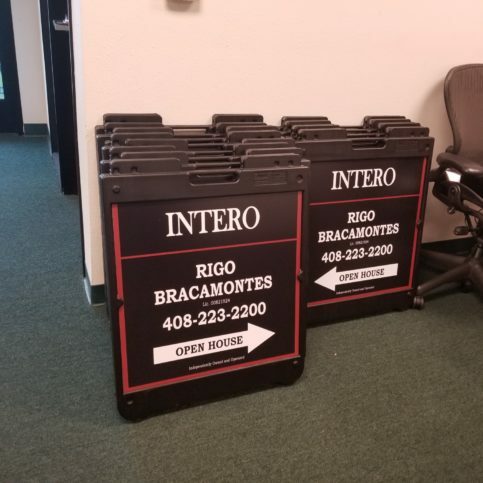 Movable sandwich board signs are flexible and offer a variety of repositioning options in front of businesses or in high-traffic areas. Large banners and signs may require professional installation to look their best. Many good banner and sign printers also offer installation, including for lettering and window signage, large banners for exterior and interior use, and more. Vinyl lettering is a common type of signage for vehicles, store windows and doors, and other applications. Vinyl lettering is completely customizable, affordable, flexible, and durable. Vinyl signage is popular because it is affordable, long-lasting, looks good, and is easy to install and display. Many good sign shops provide custom vinyl signs for homes, businesses, and special events. Q: Why choose a Diamond Certified custom sign and banner printers? A: Diamond Certified helps you choose a custom sign and banner printers with confidence by offering a list of top-rated local companies who have passed the country’s most in-depth rating process. Only custom sign and banner printers rated Highest in Quality and Helpful Expertise earn the prestigious Diamond Certified award. Most companies can’t pass the ratings. American Ratings Corporation also monitors every Diamond Certified company with ongoing research and ratings. And your purchase is backed by the Diamond Certified Performance Guarantee. So you’ll feel confident choosing a Diamond Certified custom sign and banner printers. Q: What kinds of signs and banners can local sign companies make and print? Q: Do banner printers and sign makers offer other services? A: Many local banner and sign printers offer a variety of printing services alongside banners and signs, including sandwich boards and A-frame signs, digital signs, trade show banners, labels and decals, wall and floor graphics and decals, promotional products, interior décor and exterior décor and signs, offset printing, large format printing, event signs, vehicle lettering and magnetic signs, vehicle wraps and large format signs, and more. If you need additional printing and sign services, talk with your local sign and banner makers about their additional services. Q: Can sign and banner printers design my signs for me or can I provide my own designs? A: Most banner and sign companies offer design services and accept images or graphics from clients. Depending on your needs, you are likely to find sign companies that can provide full-service designs, design based on your input, co-design services, and placement of customer-provided graphics. Talk with the banner and sign services near you to find out if they can provide the design services you need. Or, if you’re providing your own graphics and designs, discuss what format and size will be needed for your specific project. Q: What materials can my signs and banners be printed on? A: Your imagination may be the only limitation when it comes to base materials for sign and banner printing. While vinyl is the most common printing medium for banners and signs, many shops can print on almost any surface, from fabric and paper to metal, wood, magnets, chalkboards, and more. Q: How long will the signs or banners take to print? A: That depends on the type of banner or sign, the materials it’s made from, whether design or other services are needed, and other details of the job. Most banner printing and sign creation services can finish projects in as little as 24 hours, but larger or more detailed jobs, including those that require design and approval, usually take longer. Your local sign company should be able to provide you with an estimated time frame for your specific job. Q: Can banner and sign printers also offer installation or hanging services? 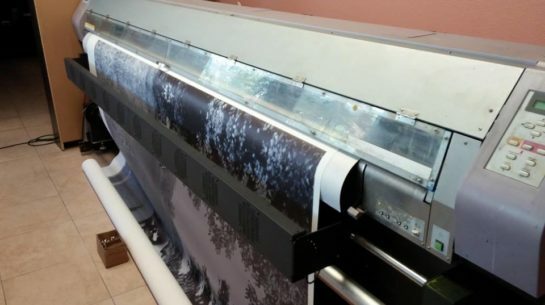 A: Yes, most banner printers offer installation services for businesses and organizations. This includes professional banner hanging, interior banner and sign displays, exterior banner installation, high banner installation, and more. If you know you’ll want hanging or installation services for your banners and signs, talk with companies about their installation services before you decide who will print your banners or signs, as some companies will only hang products they’ve printed or require specific materials or attachments for banners and signs that they’ll hang due to liability or warranty issues. Q: How long will my new banner or sign last? A: That depends on the type of sign or banner, the materials you choose, the location (inside or outside), the weather in the area where the banner or sign will be displayed (if outdoors), and other factors. Your local sign printer and banner company can help you choose the best materials and printing methods for your needs based on your location, the type of sign or banner you want, the area it will be displayed, and how long you want it to last. Q: Can local sign companies make custom vehicle signs and lettering? A: Yes, most sign printers can also provide custom vehicle signs and lettering, from vinyl window lettering to magnetic car door signs. Design, product, and other details may vary depending on the company you choose, and product choices vary greatly, so it may help to do some research on what you’re looking for and have pictures or samples before talking with local sign makers. Q: Why should I consider a custom sign or banner for my business or home? A: Custom signs and banners have many uses, from celebrating birthdays, anniversaries, and special events to advertising events and businesses. Custom signs are more affordable than many people realize, and having a custom banner or sign for your event or business can add an air of uniqueness or celebration that is inviting to guests and customers. Q: Is it expensive to have a custom banner or sign printed? A: Most banners and signs can be printed for very affordable prices. However, the exact cost depends on the services needed (including design) and the materials the signs and banners are printed on. Most good banner and sign printers can offer a variety of materials and quality levels to fit client needs and preferences. For example, banners and signs that are very sturdy and created for long-term use outside or repeated use can be more expensive than single-use banners or signs printed on cheaper materials. Talk with the sign companies near you about your specific needs and budget, with an eye toward value and quality that meets your expected use for the products you’re having printed. Q: Can sign and banner companies help me even if I don’t live in the immediate area? A: Yes. Most local sign and banner companies can provide services for customers that don’t live in their immediate area. In fact, many can do most of their work via the internet or phone, including design, image transfers and uploading, material and design selection, approvals, and final design checks. In most cases, the signs or banners you order can be shipped to you no matter where you live, so you can work with almost any banner or sign printer you choose, regardless of your location or theirs. Of course, you’ll want to talk with the sign printer ahead of time and discuss the details, since long-distance sign printing and shipping may take longer than it does for local clients.